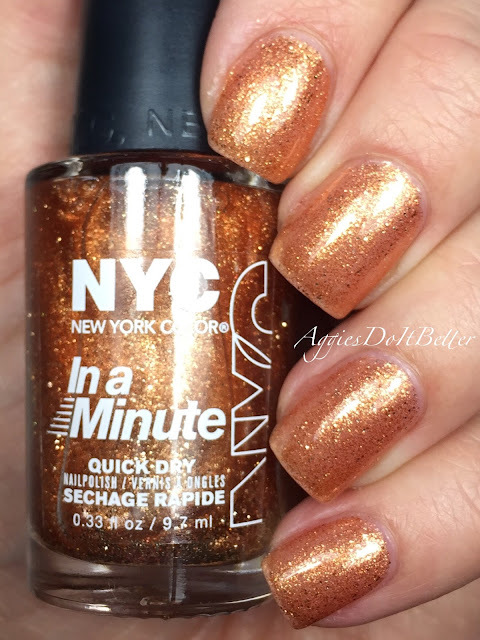 Aggies Do It Better: NYC glitters Swatches and Review, and a little Life Update! 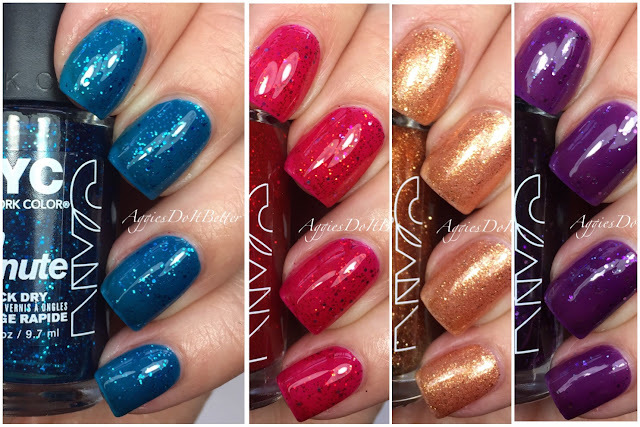 NYC glitters Swatches and Review, and a little Life Update! Hey guys! Today I have some fun glitters from NYC which is one of the first brands I started collecting when I got into nail polish! They retail for around $1.99 and come in a billion colors. Does it dry in an actual minute? No, not really, but you can't beat the range for the price! The also have a small but flat brush with a nice even edge. They prove that even drugstore brands can have a decent brush.....I'm looking at you, Sally Hansen. 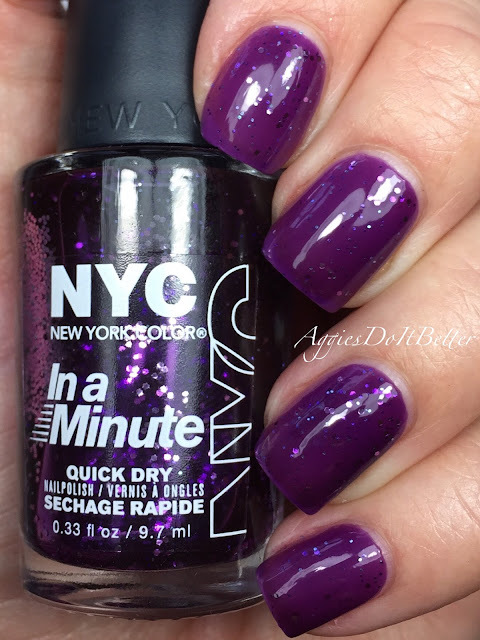 First up is NY Princess and it's a purple glitter jelly. This type of polish needs thin layers to build up and the result is beautiful with a lot of dimension! So squishy and shiny! This is 2 coats, I would probably add another for long term wear. 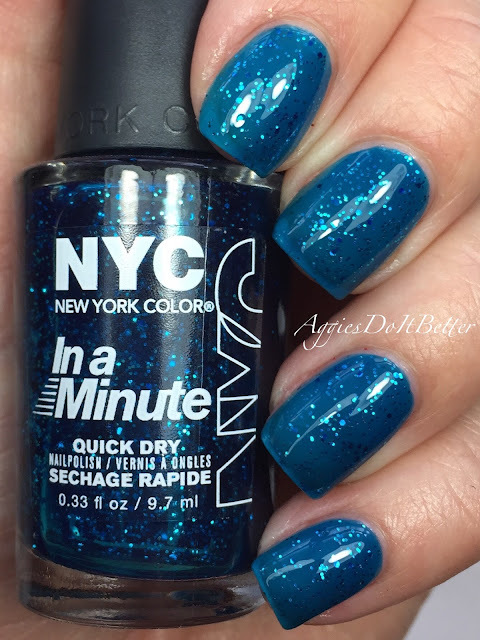 Fashion Queen is more of a glitter topper to me but this is 3 coats plus topcoat. You can still see a little bit of nail edge. This one is a pass for me but I might like it over another color. Ruby Slippers is a red jelly glitter. This is 2 coats plus topcoat. This is really nice, very cheery. I would probably add a third coat again for wearing. 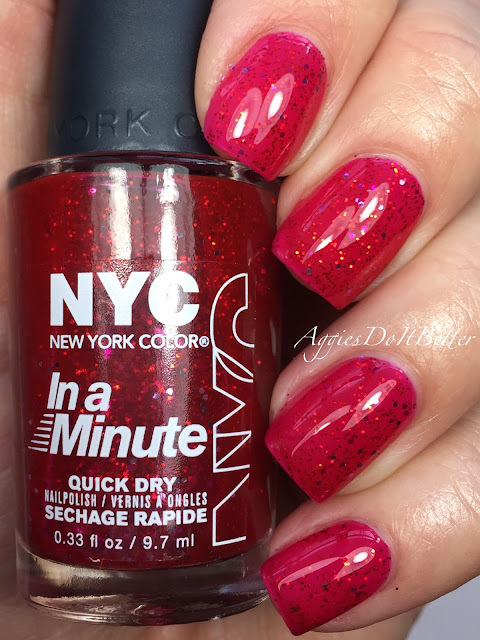 NYC is available at Walmart and Target and retails for $1.99.